Sometimes you just need that perfect tool or right part to get the job done. CMP is there to help! We have an awesome collection of specialty repair tools, heavy duty upgrades and affordable quality replacement parts that can satisfy your needs. Whether you need to repair a skimmer, light, pump or pool cleaner there is a CMP product that can IMPROVE the next pool you need to repair. A damaged niche can lead to difficult and costly repairs, but it doesn’t have to. The in ground pool light adapter is easy to install, saving service techs and customers time and frustration. The CMP Light Repair Adapter Fitting replaces a stripped or damaged pool light faceplate. This fitting is designed to take the place of the screw and notch connections on the light faceplate. We have an entire post on light repair fittings with detailed photographs on correct installation. The Light Repair Fitting is available for pool and spa light niche repair. Leaky joints are a thing of the past! 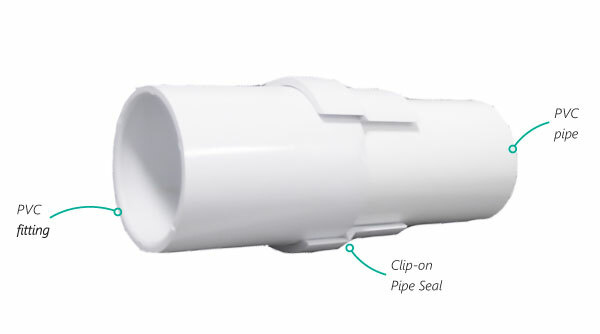 CMP Clip-On Pipe Seals stop leaks at glue joints for Schedule 40 fittings, couplings, elbows, and more. CMP Clip-On Pipe Seals look cleaner, are more professional, and are more effective. Typically a leaking PVC joint involves cutting and replacing pipe, or some sort of messy repair at the joint. Worse yet, repairs using a paste or epoxy are notorious for being ineffective. The water will find a way if there is even the smallest path for a leak under pressure! Clip-on pipe seals are an awesome solution for this problem. They are designed to snap into place and create a new PVC sealing surface against the joint. All you need is the right size Clip-on seal and PVC cement. This repair leaves a clean appearance that to most will look like just another PVC joint instead of a messy repair. EVERY SERVICE TRUCK should stock clip-on pipe seals. This will increase your turn-around time on the job site and leave a happy customer as well! Check out the complete collection of Clip-On Pipe Seals and other Pro Tools repair fittings. When the time comes for a renovation or repairs, one common issue is to end up with a skimmer that no longer matches the height of the pool deck. CMP Skimmer Extension Collars provide an easy solution to this problem. Just add the collar to the top of the pool skimmer to raise the cover back to the height of the pool deck. CMP has options to fit common pool skimmers. 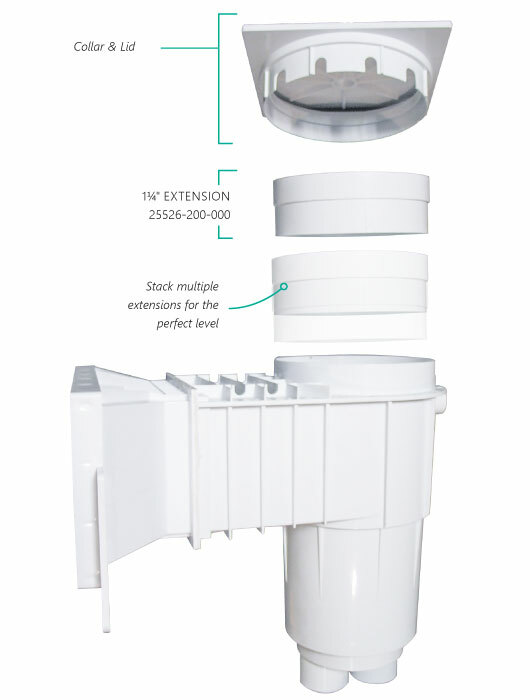 For CMP skimmers, the extension collars are stack-able giving you even more flexibility in matching the pool deck height. 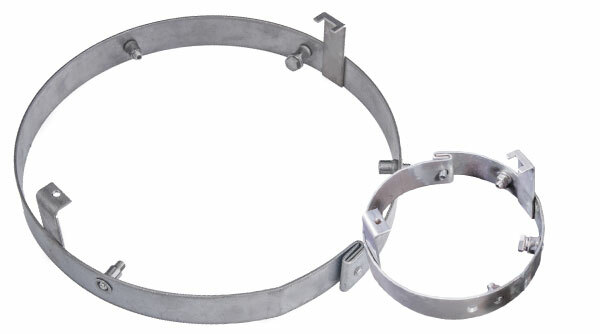 Extension collars are one of many products we have available for In Ground Skimmers. Replacing a broken weir can be very difficult. The correct weir may be hard to find, and if the skimmer itself is broken it can be a serious problem. CMP Replacement Weir Doors use a stainless steel spring-loaded mechanism that will install universally. No tools are required for installation! 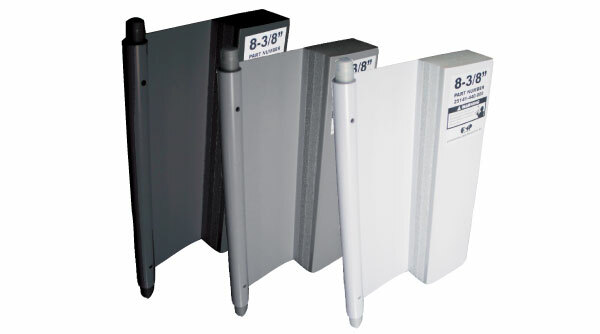 CMP carries replacement weir doors sized for common and hard-to-find skimmer sizes. CMP Weirs are available in white, black and gray in select sizes. In addition to our award-winning and innovative products, CMP also has a growing line of replacement parts for common pool equipment. We believe our customer’s deserve a quality choice when it comes to replacement parts. So we’ve chosen some of the most in-demand products to offer so that you don’t have to be limited by choice. Even better, many of our replacement parts are offered in Heavy Duty options with an improved design that’s even better than the OEM original. Don’t compromise on affordability! All CMP pool equipment replacement parts include the CMP One-Year Warranty and Factory Standards Quality. Check out the complete line of pool equipment replacement parts. In case you didn’t know, we have an awesome cross reference search tool built into our website search. Go to C-M-P.com/search to check it out! You can search OEM part numbers to find the corresponding CMP product. You can even email the results to yourself or a friend right from our website to save your results for later!